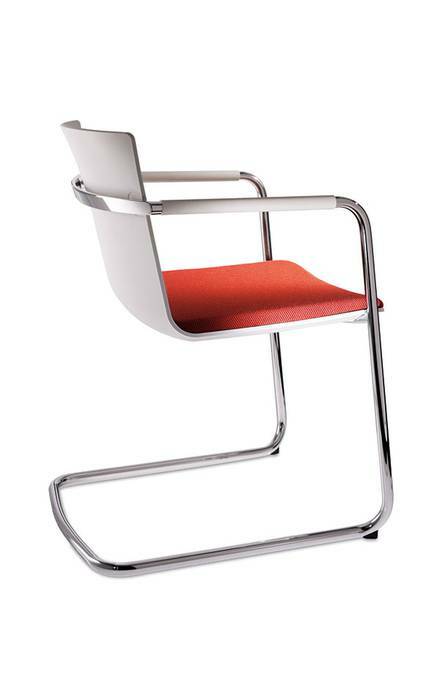 The cantilever chair consists of a slender, bright chromium-plated tubular steel frame connected to an elegant tapered outer rail. The space between the outer rail and the shell is not just simply a smart detail: the rail is also a handle and at the same time allows flexible adjustment of the back section. The single-section seat shell is invisibly attached to the seamless frame structure and combined with the suspended frame, it offers comfort par excellence.